We include everything — all skills levels for ONE low price! Our suite of MYOB accounting courses will get you job ready in no time! Learn at your own pace and don’t pay more than you have to. Why choose US as your MYOB accounting training course provider? You can choose LIFETIME Course access as an option. case studies highlighting typical business processes and procedures. As part of your MYOB course enrolment, you will receive a Certificate of Completion that you can show future employers. “Our course structure is open so you can move freely from one section to any other — we don’t make you go through the training material and close the course off when you’ve finished. This is great when you want to just go and review something specific a couple days, weeks, months or even years afterwards (and yes, we offer a Lifetime Course Access option). When you enrol in our MYOB suite of courses, you receive free access to many other courses. We cover pretty much every question we've ever been asked on our MYOB accounting course FAQs page. Alternatively, please use our live chat, phone or email us if you have a query. Every new EzyLearn student will receive a Student Account for life. This includes unlimited access to selected free resources including our FREE Student Inclusions. Learn more about our LIFELONG Learning Hub! Try before you buy by watching our free MYOB accounting training videos. We use other training materials too to suit all learning styles. The MYOB Accounting Training Courses come with a team of support agents to provide help when you need it and if you want you can have direct contact with an accounting tutor. What do others have to say about our online training courses? See more EzyLearn course testimonials, reviews and ratings from students close to where you live. Did you see our FREE MYOB Course and Excel training demo videos? Click on the video icon to view some free training videos on Microsoft Excel and MYOB. In our online training course you can go over the training material again and again as often as you need to. We don’t lock you out once you’ve completed a section so you can use our site as a resource even after you’ve finished the course and received your certificate. To manage the volume of students who do our course from all over Australia (and internationally) we use ZenDesk support ticketing system because it enables all of our agents to access your support requests and deal with them as fast as possible. Receive Lifetime Access to the online MYOB Course training videos, the training workbooks (with step-by-step exercises) plus free MYOB webinars. You’ll also be provided with access to the MYOB software for free so you can practice what you learn. You can choose whether you want a certificate for your course at time of enrolment or even order one when you’ve completed your course. The certificate carries our accreditation information, is provided only when all knowledge reviews are completed successfully, and provides evidence that you have completed the MYOB training courses. Is there a feature you like? LIFETIME MEMBERSHIP OPTION — this means our online MYOB training courses are your MYOB training resource for the rest of your working life! Learn more about how the online MYOB course works. Bookkeeping Talent Pool enabling students to register their details to find bookkeeping work. EzyStartUp Course as part of our StartUp Academy for people who want to start a business as an independent contractor providing professional services such as bookkeeping, website design, content marketing and photography — the list goes on. This caters for people such as fitness instructors, workplace health and safety consultants, HR consultants, training and support consultants and virtual assistants just to name a few! National Bookkeeping. Start and grow your own home-based bookkeeping business as an independent consultant for a low cost without needing to buy into a franchise. We’ll provide you with professional business cards, a phone number and your own online content marketing campaign. Corporate Training to enable small business to have all of their staff trained on all our software training course topics: MYOB, Xero, Excel, Word, PowerPoint, WordPress. FREE student inclusions. Enrol into ANY course and once you’re in our LMS you can access a range of free beginners courses in MS Office and WordPress for website design and content marketing. The Institute of Certified Bookkeepers is a professional organisation for bookkeepers just like the National Institute of Accountants and CPA Australia are industry organisations for accountants. EzyLearn has been an Accredited Training Provider for the Institute of Certified Bookkeepers from 2012 to 2018. The bookkeeping industry is now regulated in Australia and certain tasks relating to BAS, GST and Payroll can only be performed by a Tax or BAS Agent. As a result all new content created for our bookkeeping courses is completed in conjunction with Registered BAS Agents who use the software with real clients. Our qualified BAS agents, bookkeepers and business owners create the training workbooks, exercises and case studies, training videos and knowledge reviews included in our MYOB courses. We introduced LIFETIME membership as part of our focus on the desire to be the best training course at the best price with the best features and we feel that there is no better MYOB training course available for the price. If you combine the different methods of training delivery, a great price and the ability to use the course for the rest of your working life, we believe this is the best course available. We release regular tips and tricks via our Employment and Productivity Training Blog in a brief and concise format and National Bookkeeping is our service to help students start and grow their own bookkeeping business. We’ll draw from the experience of bookkeepers, accountants and career and recruitment experts as well as online marketing and social media professionals to provide you with industry news and tools as well as tools to help your career and business. With our Career Academy you can receive help and support to write your resume and application letters for bookkeeping work. Our training workbooks contain exercises that relate to the daily and monthly bookkeeping activities for most businesses. Through our connections with accountants and bookkeepers across Australia we keep abreast with the requirements for MYOB bookkeepers in the workplace. The experience of our MYOB bookkeepers and registered BAS agents means that our MYOB training course material, and bookkeeping and career webinars are full of current content that employers are looking for in their job candidates. 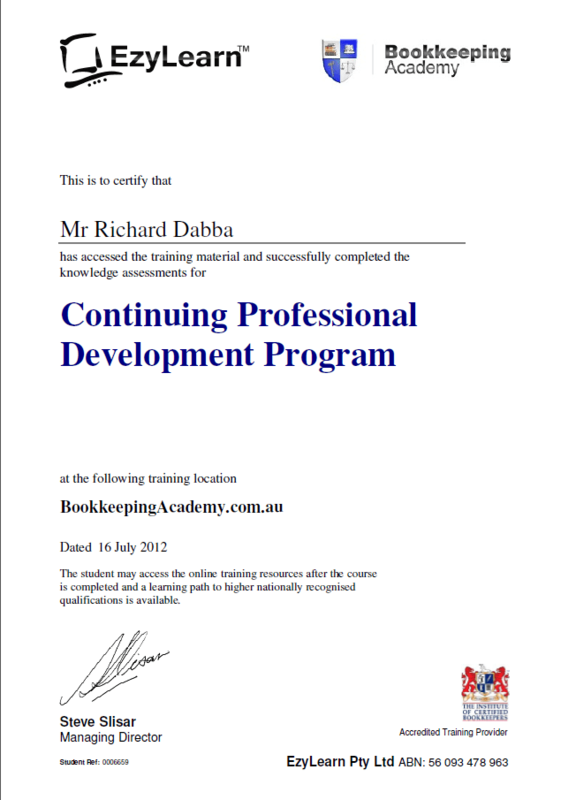 Helping you get your next bookkeeping job enables us to maintain relevant course and careers training content. In this blog we have written articles about the changes that are currently occurring with MYOB software, particularly how it relates to the movement towards “cloud computing” as well as how MYOB software compares to other cloud-based accounting software programs like SAASU, QuickBooks, Freshbooks, Xero and more. Because we create our own training materials we ensure that we keep the material up-to-date. Just like the popular spreadsheet program, Microsoft Excel, MYOB software undergoes changes each year. 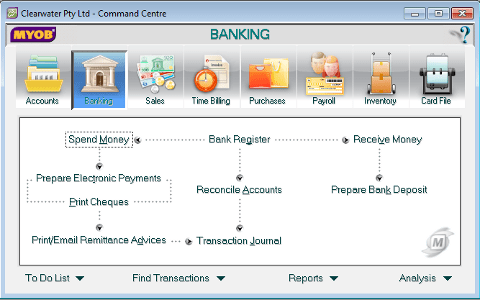 Up until MYOB AccountRight version 19.5 many of the updates to MYOB software related to more advanced features or add-on services to the software so if you learnt using version 15, 18 or 19.5 the navigation around the software was VERY similar. In 2011, however, MYOB went through a huge change in their software and we started to receive feedback from students and trainers about these changes. As a result we now have training material for the earlier versions as well as the current version and we are constantly creating new training material. When we ran our MYOB courses in our training centres between 1996 and 2006 we had some of the very best MYOB trainers delivering our courses including Alee Cochrane, Marie Diblasio and Maria Landrelli. These women have been providing training for bookkeeping and accounting using MYOB software for two decades. Even when we operated our Sydney training centres in Dee Why, Gordon and Parramatta, our MYOB courses were taught using real-life scenarios to give students experience using the software with examples from existing businesses. The training workbooks (which currenctly number 10) enable you to work through practical step-by-step examples using the actual software (we provide you with a source for a free download). Some students prefer to watch the videos and then complete the knowledge reviews to test their memory, while other prefer to work through the training workbooks — either way, we provide all the learning tools so you can complete the course your own way. Because we are now an online training organisation we can focus on delivering our MYOB training courses at a lower price and we can include more information. It also means that we can focus on being innovative in online learning. Read about our history of computer training since 1996. One key way we have been innovative is by offering students Lifetime Access to our MYOB training courses. We’ve recently updated three of our courses to cater for the latest version of MYOB Accounting software and all existing LIFETIME access students can enrol into these courses for free! We still have the older versions of the software because MYOB is recommending that some of their customers not upgrade to the latest version; you can read about this here. When we had a stand at the Reinvent Your Career Expo in Sydney recently it confirmed some very interesting information — 20% of our students are actually accounting qualified. This might be surprising but the reason is simple; many people who do accounting for their tertiary qualifications end up working for a large corporation where they don’t use small business accounting software like MYOB. These people are looking to leave their corporate jobs and find more fulfilling work closer to their home. 20% of our students have accounting degrees. Another common type of EzyLearn customer is the mum who is looking to re-enter the workforce after spending several years at home bringing up her family. These mums are looking for work that is close to home so that they can still be available for their children to drop them off at school and pick them up — bookkeeping work enables them to do this. Small business owners and managers are also students of EzyLearn. Often they simply want to find someone else who can help them with their books but want to understand what needs to be done and how it all works. These customers will benefit greatly with our new MYOB Bookkeeper Directory. Finally, we have many students who are not very familiar with accounting at all, but who are often looking to advance in their career. Furthermore, if they work for a small business they become far more valuable to that business if they can also perform the bookkeeping function as well as their other daily tasks. For these students we’ve developed the Bookkeeping Basics videos tutorials within our MYOB Courses. As long as you have confident computer skills and know how to use the internet you’ll be able to use our courses. We are so convinced that you’ll be happy with our courses, based on the feedback from thousands of happy students and the time and effort we put into our courses to make them truly great, that we offer a money-back guarantee. If you decide that you are not satisfied please contact us and let us know! 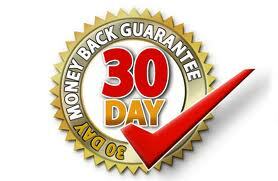 Please read the details of our Money-Back Guarantee. Training resources to keep as a reference guide for the future. When we operated our training centres we had to put effort and money into maintaining the training rooms, computers and software licences. We had to schedule the use of the training rooms and we had to pay good money for good trainers. When we did this we had many happy students, but I noticed inconsistencies in trainers training styles and that many students couldn’t make one of the sessions in our short courses. Since 2003 we started creating training videos to replicate what we taught in the classroom, this meant that students could now watch the instructional videos whenever they wanted to — they could start their course today! This also enabled them to come into the centre more often if they needed and it meant that every student had the same experience so when they recommended it to their friends they would have the same learning experience. I hope you like what you’ve read on this page and agree that is course is excellent value. Come and learn with us and discover why. 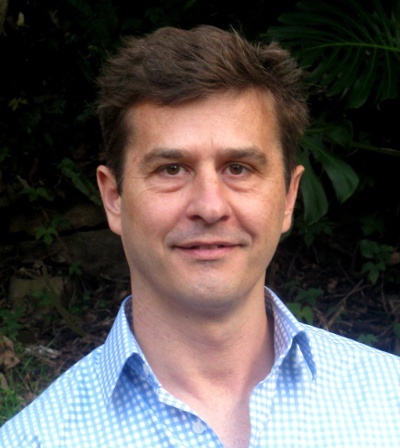 Watch Steve talk about online training courses with EzyLearn. Want to Partner with Us to Help Other People Learn MYOB? There is a great feeling that comes from helping other people and that’s one reason we love training. Students who use our online courses to learn about new software following a thoroughly planned learning path and we love partnering with other companies as well as individuals who want to use our training materials to help their own clients and customers. If you want to explore an opportunity to earn some extra income each week or even more serious income (with more commitment) then please make contact and tell us a little bit about you. Visit our Start a Training Business Opportunities page. All of our MYOB Training Courses are delivered online and include optional access to the LIFELONG Learning Platform so you can start when you are ready, progress at your own pace and use the training resources for the rest of your working life. We’ve been delivering MYOB training courses for 20 years!